This custom high-end kitchen remodel with true-Euro, full-overlay cabinetry, made of grain-matched Brazilian hardwood, highlights our passion for millwork. 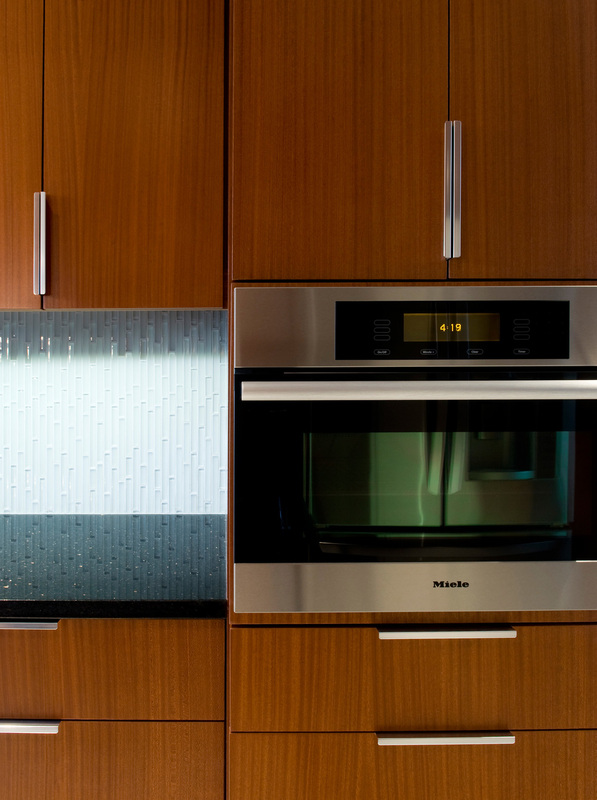 Glass tile backsplash with granite countertops. True-Euro, full-overlay cabinetry, made of grain-matched Brazilian hardwood. Pantry with pull-out, full-extension drawers. China cabinet next to a frosted glass pocket door to the utility room. Marble tile on the floor. Half-bath adjacent to kitchen with temperature-sensitive LED faucet.